While CBEST practice tests should be an essential part of any California Basic Educational Skills book, we won’t discuss sample questions here. 1. You know, this is a high-stakes test. If you pass-the-CBEST, you can begin your career path in education! If not, you have to wait 45 days to retake the test. You also get to pay hundreds of dollars or so to take the test again. 2. It’s timed. Doesn’t matter how much time there is, some people freeze as the time ticks away! 3. The CBEST test is compromised of three sections. All three count toward the magic 123 score. Nearly everyone has strengths and weaknesses. You may easily pass one section, but passing the reading and the writing and the math is not a guarantee! 4. The CBEST exam is supposed to be a test of “basics.” Who wants to admit they can’t pass a basics test? When my friend Greg phoned to tell me he just learned that he had failed the CBEST by 6 points, he was panicking because he didn’t know what to do next. After he was calm, Greg confessed that he hadn’t studied much for the CBEST because it was “just a test of the basics.” He thought everyone, including himself, knew the basics. 1. He had been out of school for a long time, choosing teaching as a second career. 2. When Greg thought basics, he was not prepared for the level of math required on the test. 3. His timing was off, forcing him to hurry through sections and not leaving him time to check his answers. 4. Though he thought he knew what would be on the test, the wording of the questions and some of the answers made it seem as though more than one answer was correct. How Can You Prevent CBEST Failure? Knowledge is power. Now that Greg failed the CBEST once, he is anxious to prevent that from happening again. Where do you begin? Know the test. Go to the official CBEST website at: www.ctcexams.nesinc.com Find the information and academic skills measured on this assessment! Go to “Tests” on the website. Click on the CBEST link to find the number of questions and essays. Click each individual link for a pop-up that lists general info plus the skills tested and percentage of questions that test each skill. The written portion gives the two types of questions on the test “Preparation Materials.” There, a PDF lists the skills you will be asked to show on the test. This is a start. What Greg—and you—need, is to brush up on rusty skills, practice taking a timed test, and learn how to choose the best answer, not just the first one that looks correct. The next step is to use the test info and your needs to find a CBEST study guide to help you through the test! 1. How well does it cover my weak areas and review my strengths? You may be a whiz at math OR reading OR writing, but if you are a whiz at all three, lucky you! The rest of us hope that we can score high enough in our best area to make up for the weak area. A scaled score of 37 is the lowest on one or two sections; a total score of 123 is a “pass”. 2. Is the CBEST book designed like the real California Basic Educational Skills Test? Does the study guide provide explanations and examples that follow the test’s guidelines? Writing: analyze a situation or statement and write about a specified personal experience. 3. Is the CBEST study guide up-to-date for recent CTC exam changes? Unfortunately, most books on the market don’t follow the current exam’s requirements. However, make sure they’re at least error-free of factual info. Typos in spelling may indicate typos in answers. This can be frustrating if you are trying to learn why a practice question answer is right or wrong and it is the actual study guide that is incorrect! 4. How many CBEST practice tests are there in the book? Research abounds that says the more you practice, the better the outcome! Is there an option to take the test online? Unless you are taking the paper exam, you should practice at least once online to mimic the real test. 5. Does the CBEST test study guide show you how to read the questions and choose the best answers? And does it give examples of written answers that would score well? One CBEST taker said “there is a certain CBEST way of answering which you need to know.” For Greg, it meant learning why some answers SEEM correct while other answers ARE correct. Skim the info: is it readable and easy to understand? When using your CBEST study guides, divide your time so that you can spend some chunks of 20-40 minutes at a time on sections of the book. Research shows that you tend to remember the first and last thing you studied in a session. Give yourself more firsts and lasts instead of cramming for six hours! Read the information in each section of your CBEST exam study guide. Then ask, “Would I be able to answer this on the actual exam?” Be honest. Maximize your limited CBEST study time to review what you don’t know, not what you do know. If you are a math whiz, simply review that section (don’t skip it: prepare for the wording of questions!) and spend your time on the reading and writing sections. Actually write out your essay answers to see if you would pass, according to the scoring guide. Spend time with the explanations of the correct and incorrect answers. Again, your CBEST study manual should SHOW you key words that can signal correct or incorrect answers. A Happy CBEST Test Ending? You might have guessed, I’m Greg. Taking the CBEST is like being in The Maze Runner. After all, some of the characters do fail the test. But what happened to those who passed? They finally gained freedom and a better life. By choosing the best CBEST study guide, so can you! "Why Not Pass The CBEST Now And Tell Your Own Success Story?" It actually covers the real CBEST! FREE CBEST practice questions (just like the exam). By CA credentialed teachers who passed. 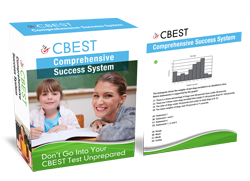 Get FREE CBEST Study Guide Now!